My call out for Mah Jongg teachers throughout the United States has been met with phenomenal success. Every few days I will post some more names and contact information about teachers in different areas of the country. 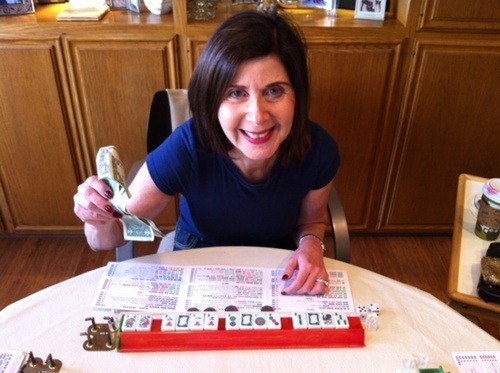 If you are a Mah Jongg teacher – or know of any – please send names and contact information to me. It’s more fun if you have some great pictures to send along with names, email addesses and phone numbers. Today I want to introduce you to Peggy Kolkey who teaches in Beverly Hills and on the Westside of Los Angeles. You can reach Peggy at pkolkey@yahoo.com or at 213.840.3869. This entry was posted in Uncategorized and tagged Beverly Hills, California, mah jongg, National Mah Jongg League, teacher, Westside on January 22, 2014 by Mah Jongg and Me.